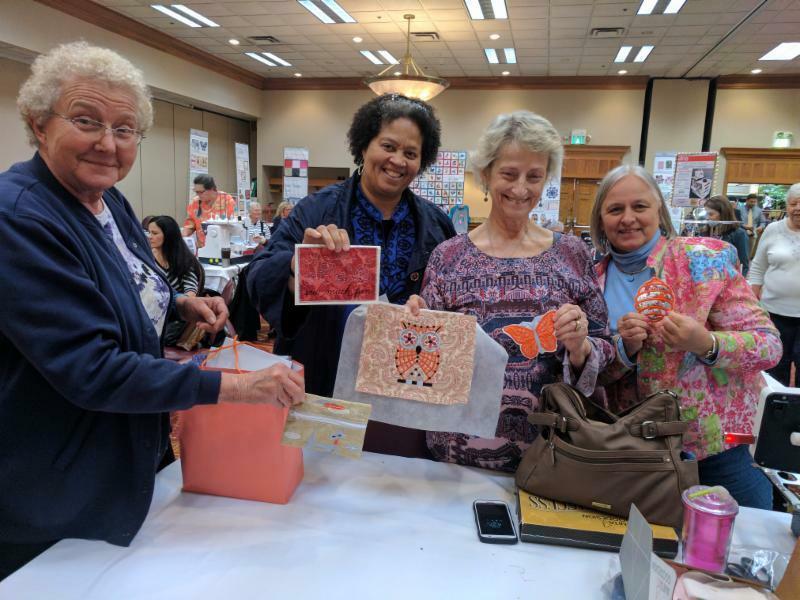 Kentucky’s Block of the Month club is in the home stretch! 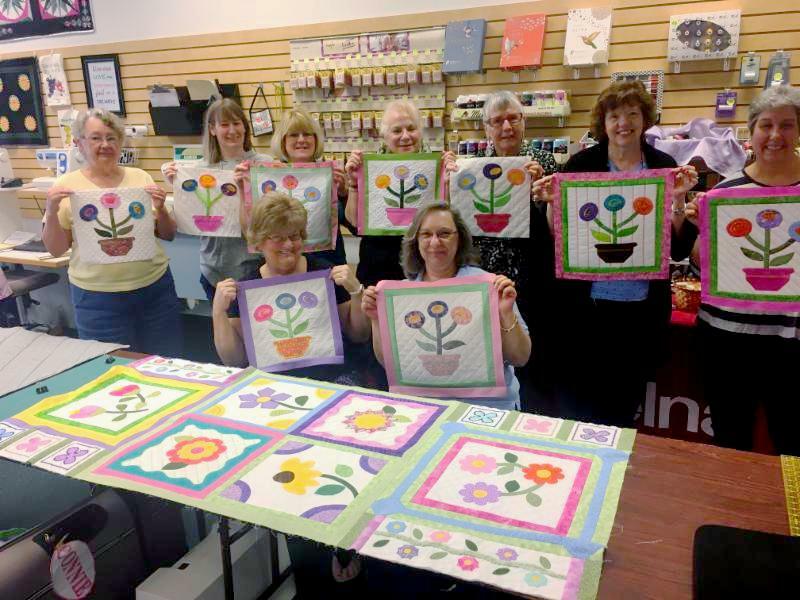 This month, they created their 8th block in the stitcher’s garden quilt. 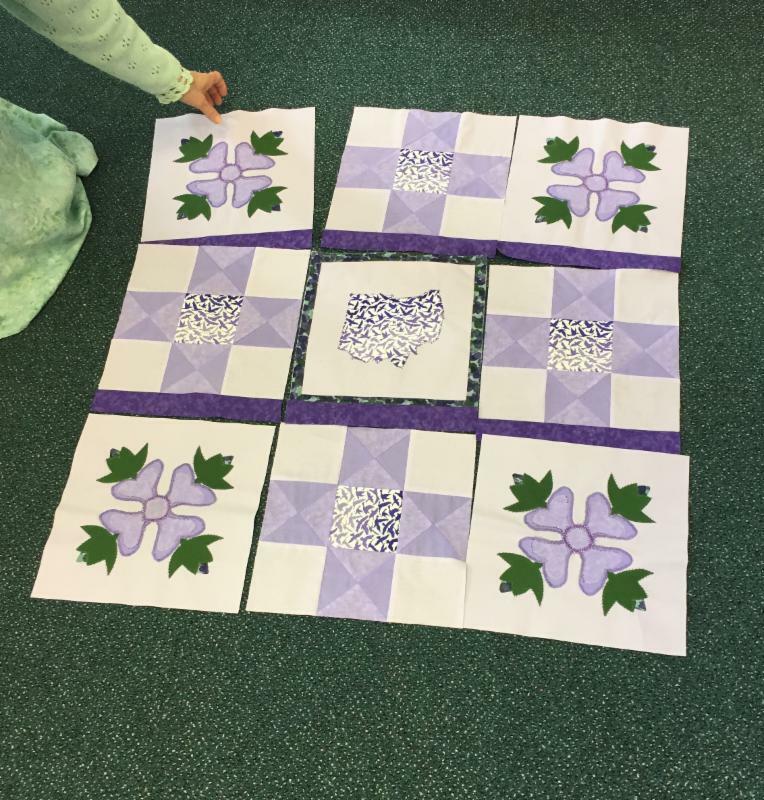 We explored our machines decorative stitches – getting creative with how we applied our applique and even used the circular attachment to create perfect circles! Then, we crafted bias tubes to use as the flower stems. 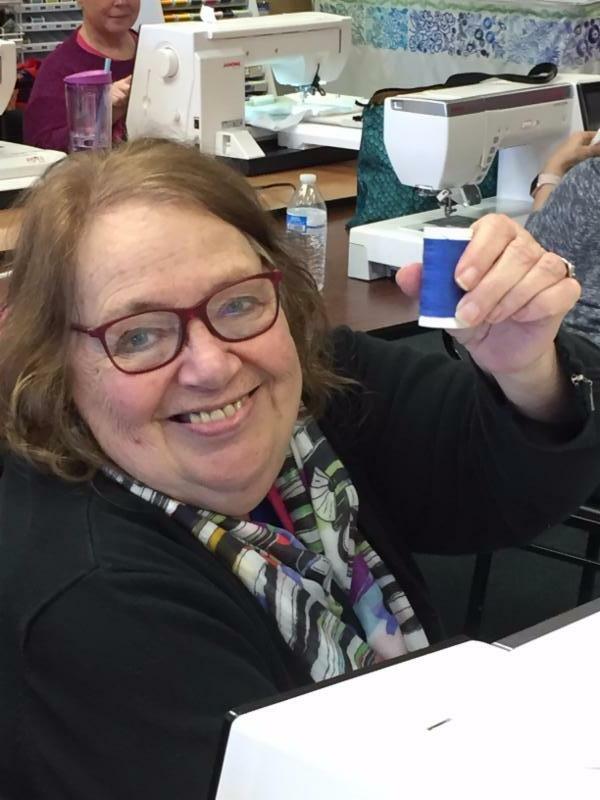 We love learning new Serger techniques from Veronica! Many sewers are intimiated by this 4 thread machine, but at Luke’s we have plenty of experts to show you the ropes. 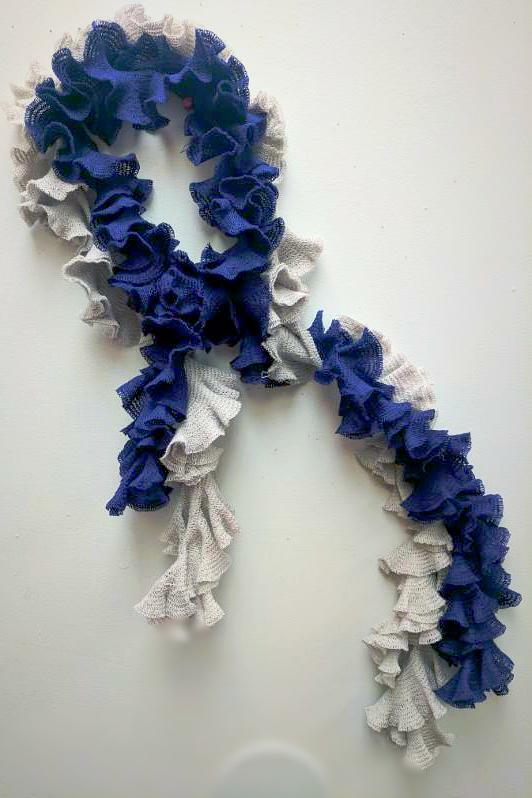 This weekend, she walked us through this great “serger crochet” scarf. 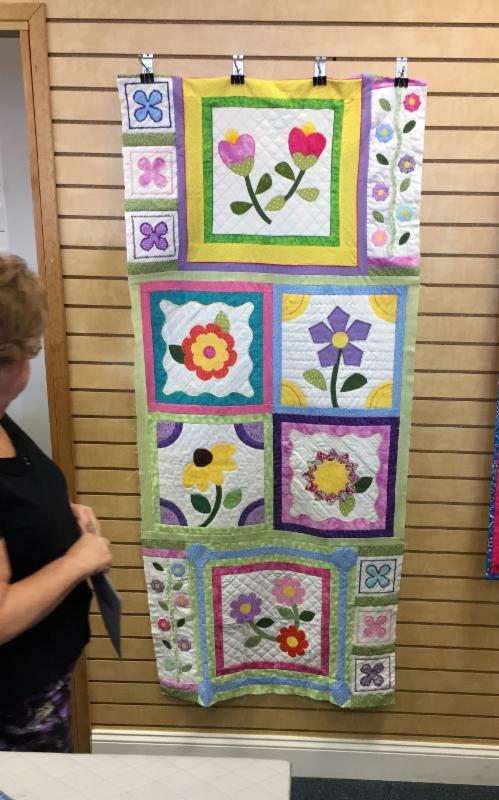 This is made with 12 wt thread – no fabric! We set our machines for 3 thread overlock stitch, and learned how to adjust the stitch length to create the ruffles. 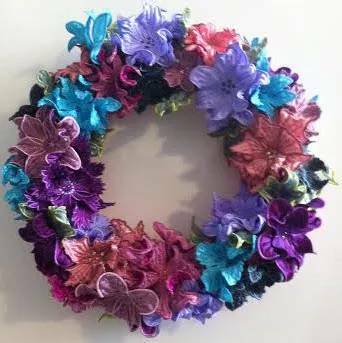 This fun technique can also be added to other projects to add unique flair and variety! 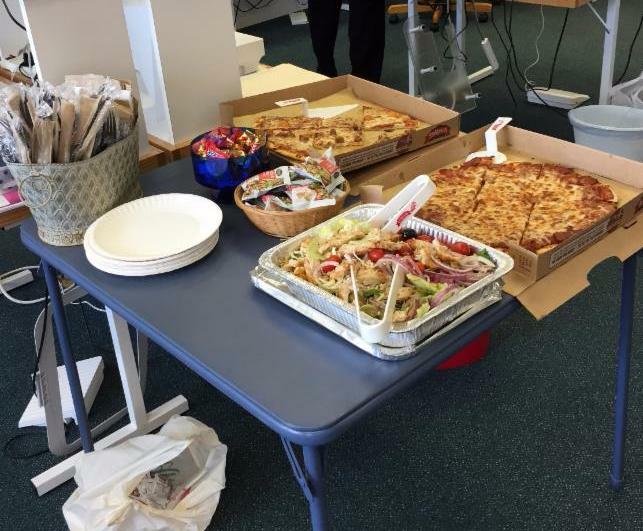 Mid-day, we took a break for a lunch of baked chicken, salad, and marcaroni salad. 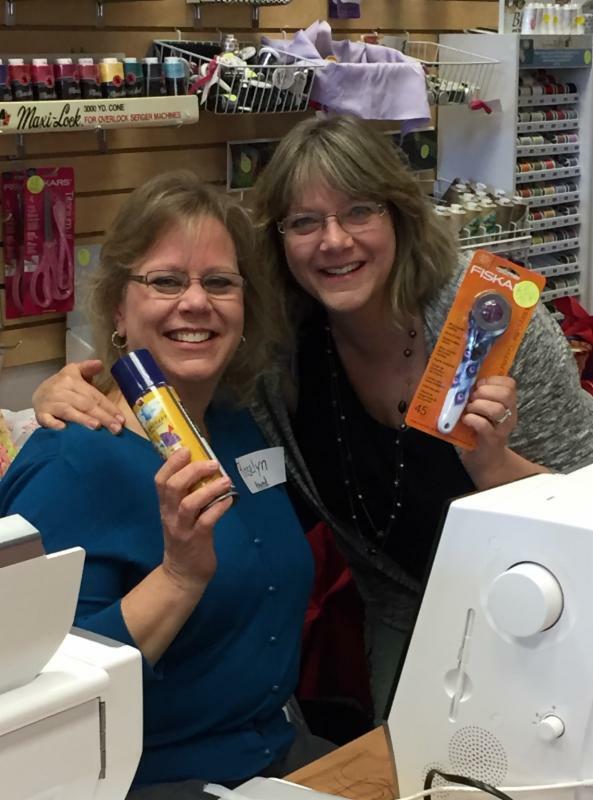 Many thanks to our educator Kathleen J for assisting Veronica and helping everyone master this new technique! Wow! What a month March was. 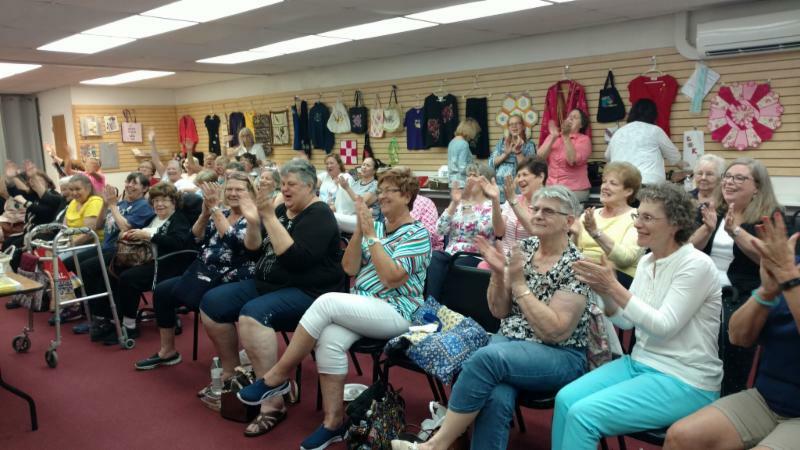 Read about our 2 special presenters and see pictures from all of our fun classes. 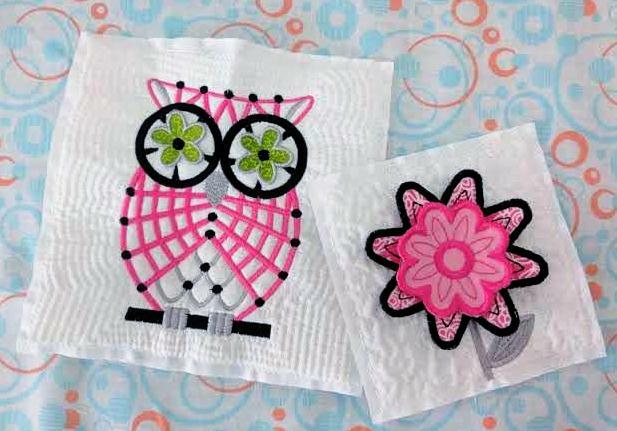 Now, we’re gearing up for the Anita Goodesign Party at the end of April! 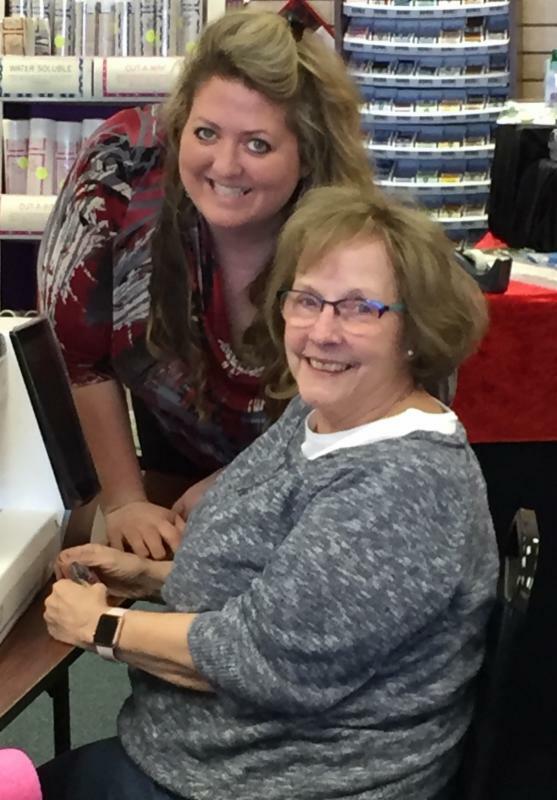 Meet our VIP of the Month – Donna L. She’s a long time Kentucky customer and quite the seamstress. 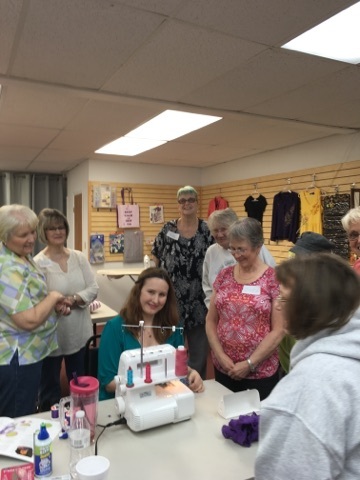 Then learn about traditional monogram placement on a variety of garments and objects, get some tips and tricks on hemming knits, and see how easy it is to add cording with the 3 groove foot! Also, in this email we catch up with Tri County! 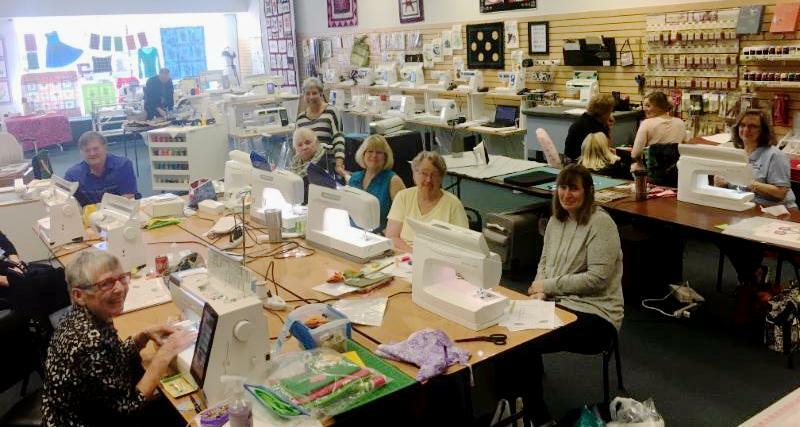 They’ve been busy with Sit ‘N Sews and lots of classes. 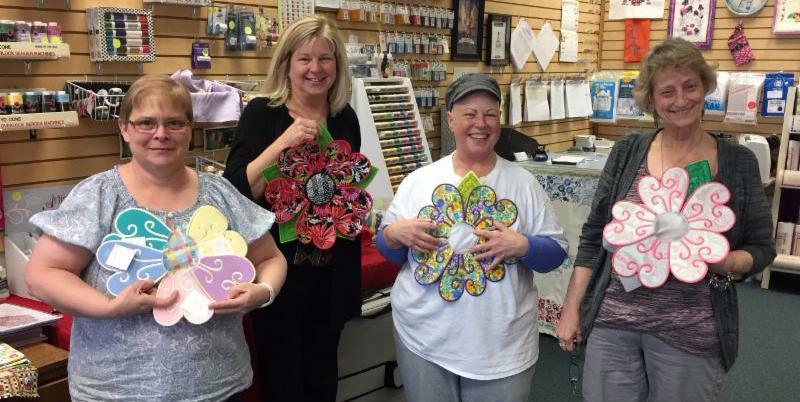 In March, their embroidery club created large flowers (just in time for spring) all in-the-hoop using an Anita Goodesign project. 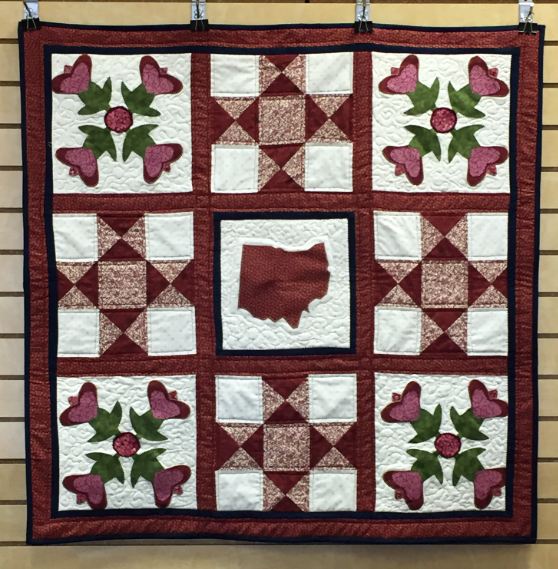 Laquitta also had her first quilting class – creating an Ohio Star/Ohio Rose quilt. 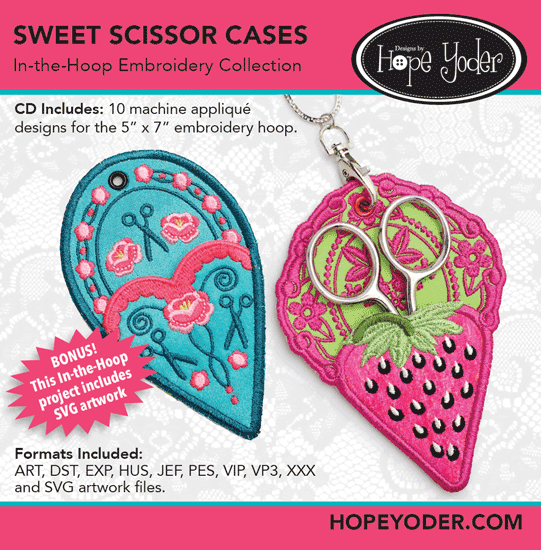 Last but not least – we’re so excited to announce Hope Yoder’s Trunk Show in July! This is going to be our Christmas in July VIP Parties at Tri County and Elsmere. 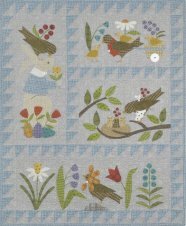 You’re not going to want to miss this one – her work has been featured in both Creative Machine Embroidery Magazine and Sew Beautiful Magazine. We’re excited to share her designs with you! 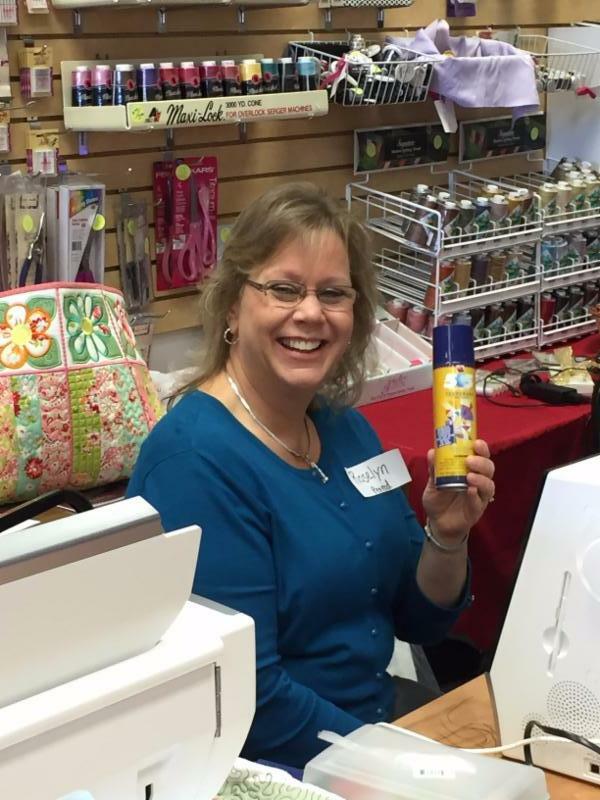 As always, Experience the Joy of Sewing with Luke’s Sewing Centers. What a great project! 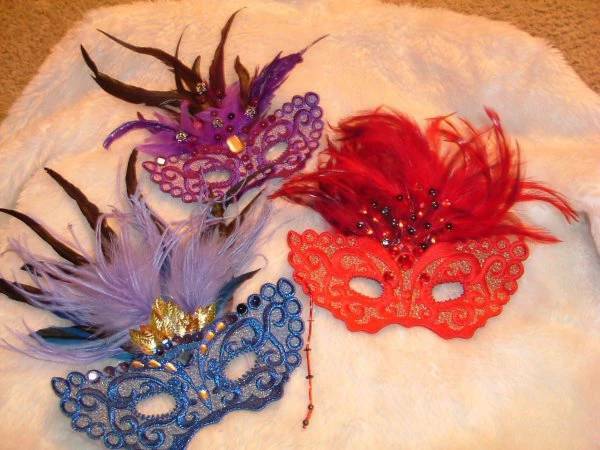 Want to see more of what Donna is working on? 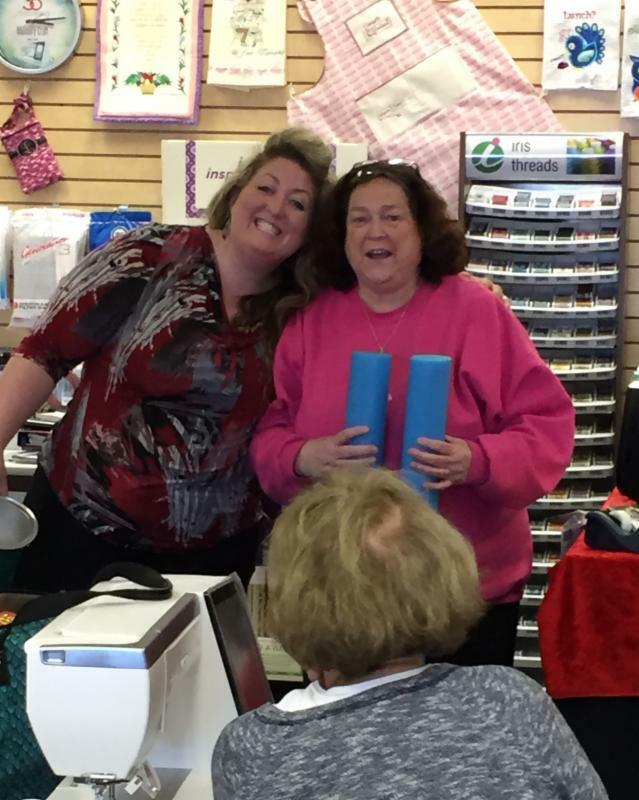 Donna “feels like she’s known Margaret forever,” since she lives only a few miles away from our Elsmere, KY store. She regularly brought her old Singer in for servicing, and eventually bought her daughter a Viking sewing machine to use abroad.”It had to be something easy to service in Europe,and Margaret had the perfect solution.” She loved that little machine so much, she bought an SE for herself shortly after. 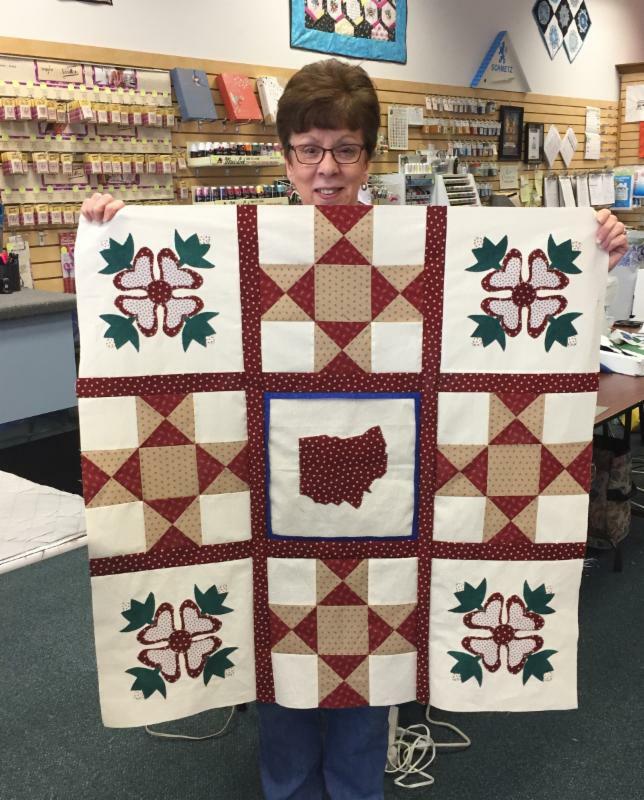 A lover of embroidery and quilting, Donna actually picked up sewing as a special education teacher. 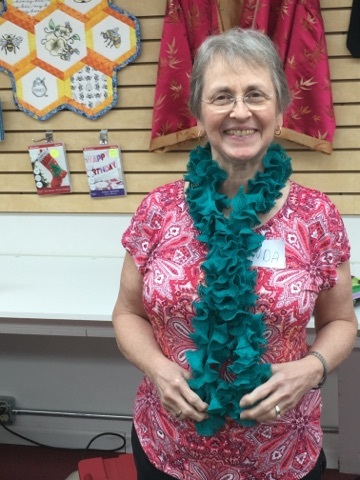 “I loved helping out in the life skills class – and learned how to sew with them.” She describes herself as an “Avid mender and on-demand sewer” noting that many of her projects are favors for friends or service projects. 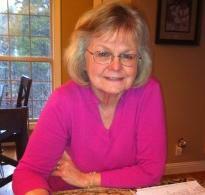 “God sends people my way and I help them,” she explained. 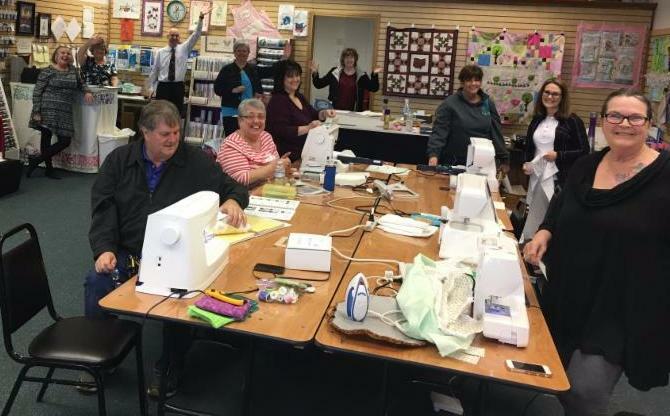 Donna has used her serger to hem all the band uniforms for a local high school, and once she even completely reconstructed a wedding dress for a daughter of her friend. 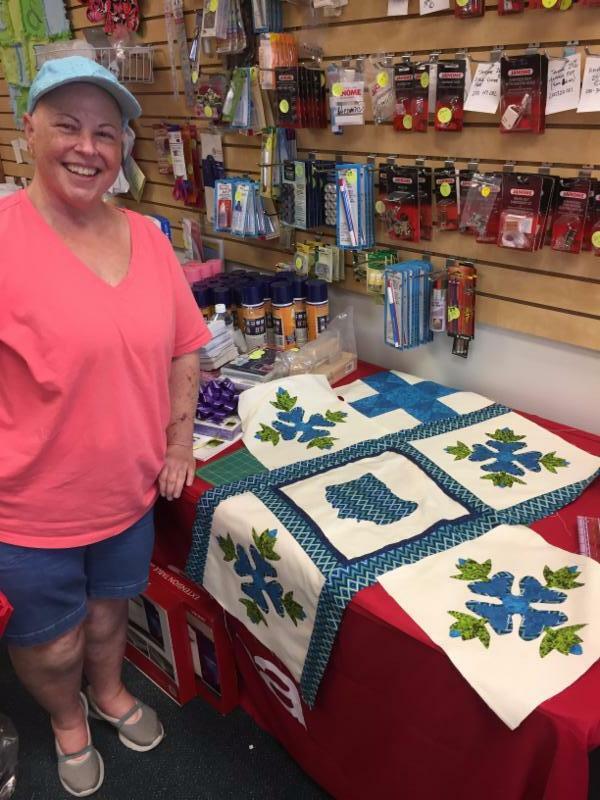 She also loves embroidering items for her 9 grandkids. Currently she’s trying to master her new Viking EPIC, which she bought during the holidays. The Viking EPIC’s large touch screen, cloud capability, and thousands of decorative stitches ensure it lives up to its name. 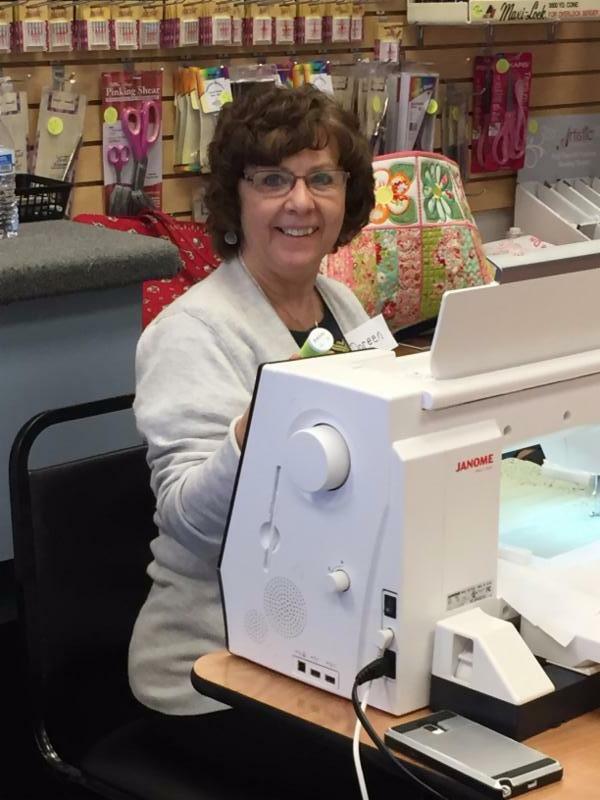 “It’s quite different from the Diamond I’m used to – but that just means there’s more to learn!” She loves how quiet and smooth it is compared to her other machines, the automatic needle threader, and “all those other things” that make it a joy to learn and sew on. Despite her busy schedule, Donna takes as many classes at Luke’s as she can. “I love learning new things – part of being a teacher I guess,” she explains. Sewing Adventure, a large two-day event Luke’s holds in the fall, is probably her favorite. That’s where she discovered her favorite tool yet – the magnetic hoop. 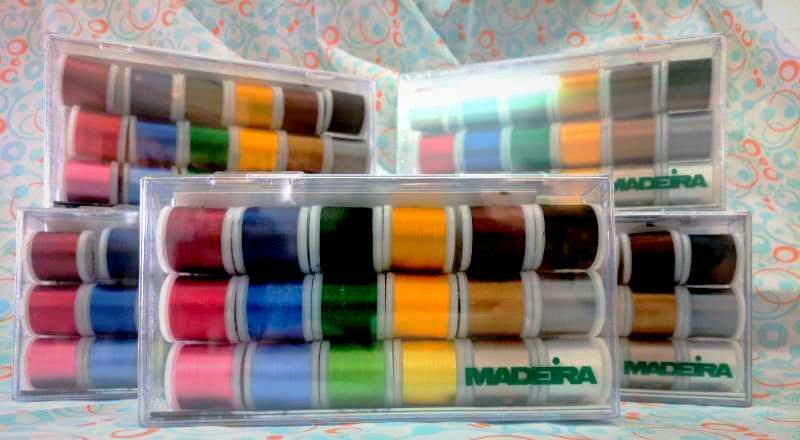 The magnets secure your fabric in place without leaving creases, and also make it easier to align fabric for embroidery placement. “I’m also looking forward to the Anita Goodesign Party – it’ll be my first one!” She exclaimed. 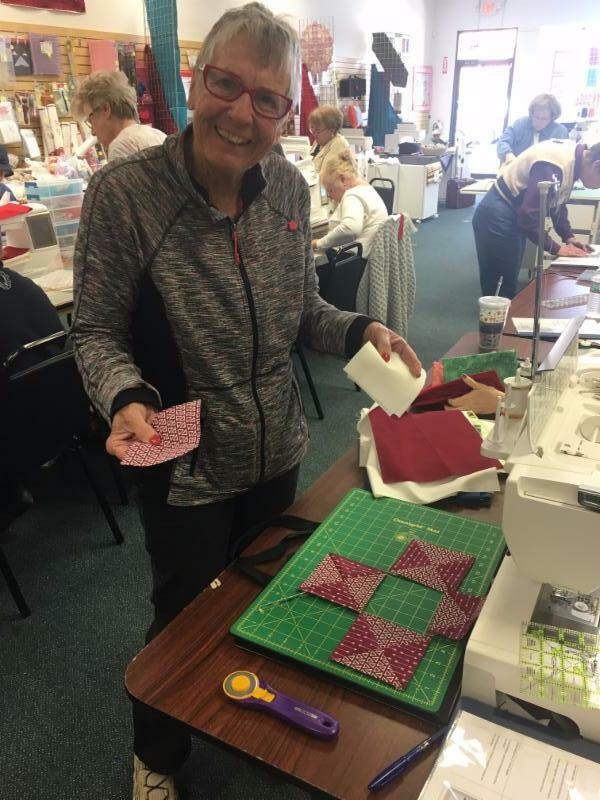 Donna loves all her Anita Goodesign designs for their consistent quality and easy to follow instructions, but has never been able to make it due to scheduling conflicts. techniques while exploring the styles of the last 100 years with the industry’s best educators! Call TODAY to Save your Seat. 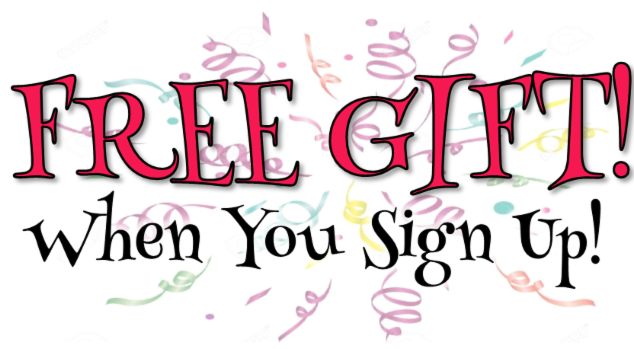 FREE for VIP Club Members! 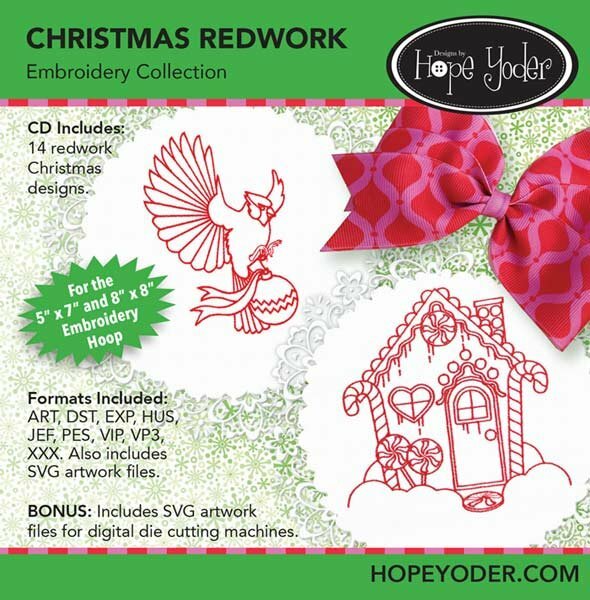 Hope’s designs feature trendy embroidery and quilting for all our Viking, Elna, and Janome customers. 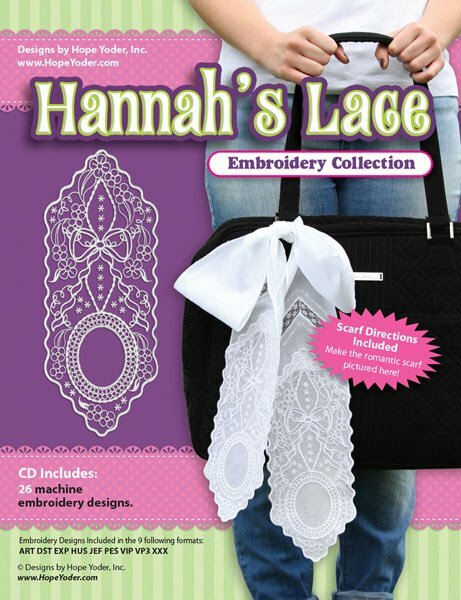 Her work includes in-your-hoop projects, heirloom techniques, cathedral lace, window applique and so much more! Yoder’s deigns goes from trendy, to modern, to traditional and back again! There’s something for everyone. Some designs will only cost $15! 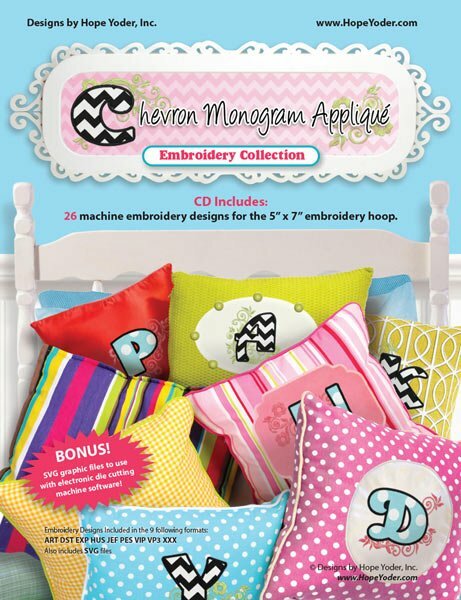 Pick up the latest “Creative Machine Embroidery” or “Sew Beautiful Magazine” to see her work featured! This will also be our Christmas in July Event! Wear red for a FREE gift. 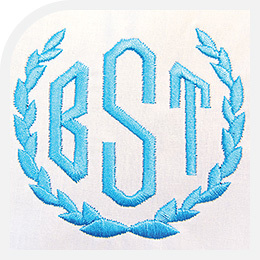 On a shirt, the left cuff is where you would place a monogram. Fold the cuff in half and, on the side with the buttonhole, measure one inch in from the fold, and 1/2 inch from the bottom of the cuff. Mark this point; this is where your monogram will be sewn. The size of the lettering should be approximately 1/4 inch. Unless you are making the shirt yourself, you will have to remove the pocket and re-sew it on after you have monogrammed. Fold the pocket in half and measure 1/2 inch down from the top of the fold. Mark this point; this is where your monogram should be. If you are sewing a design or monogram on a uniform shirt, the bottom of the design or name should be 1/2 inch up from the top of the pocket. The correct placement, on a Ladies’ blouse, should measure approximately 7 inches down from the shoulder seam and 3 1/2 to 4 inches to the left of the center front. 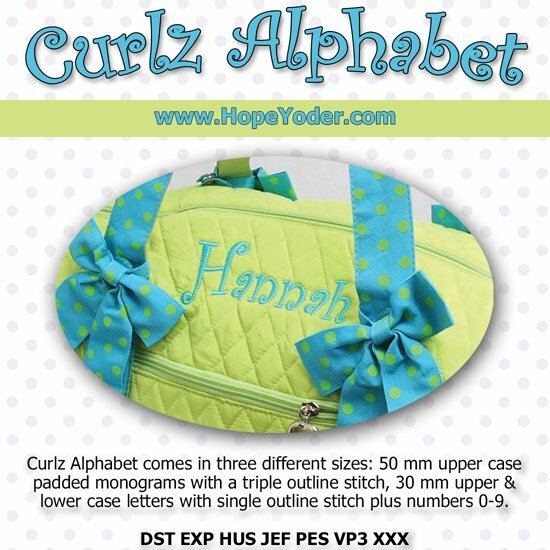 The proper placement, for a design on a bath towel, is 2 inches plus half the monogram size above the border. Great Job Ladies! Want to see more photos? Click Here! 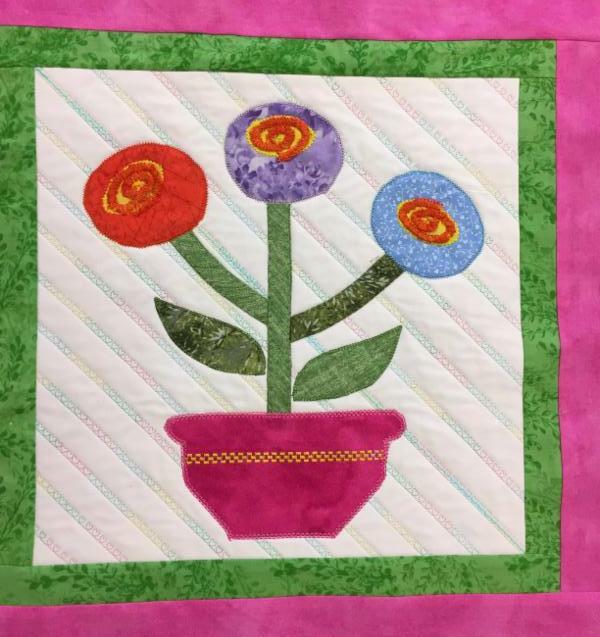 Spring has officially arrived, and to celebrate, Tri County’s March embroidery class featured this great big Anita Goodesign flower called “A Flower For M’Lady!” This is a great project that combines embroidery and applique all in the hoop! 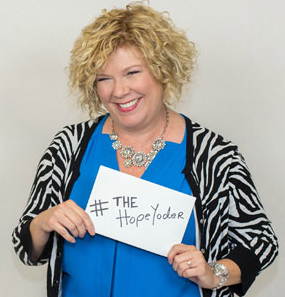 Our educator Joanne H walked us through each step – it couldn’t be easier! Are you a VIP Club Member?! 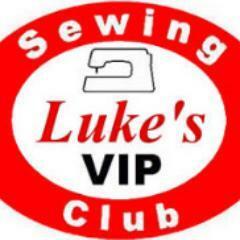 If you’re not already a Luke’s VIP Club Member, enjoying access to special events, classes and every day discounts on notions and supplies, then, purchase your next Sewing Machine from Luke’s and Join the Club! 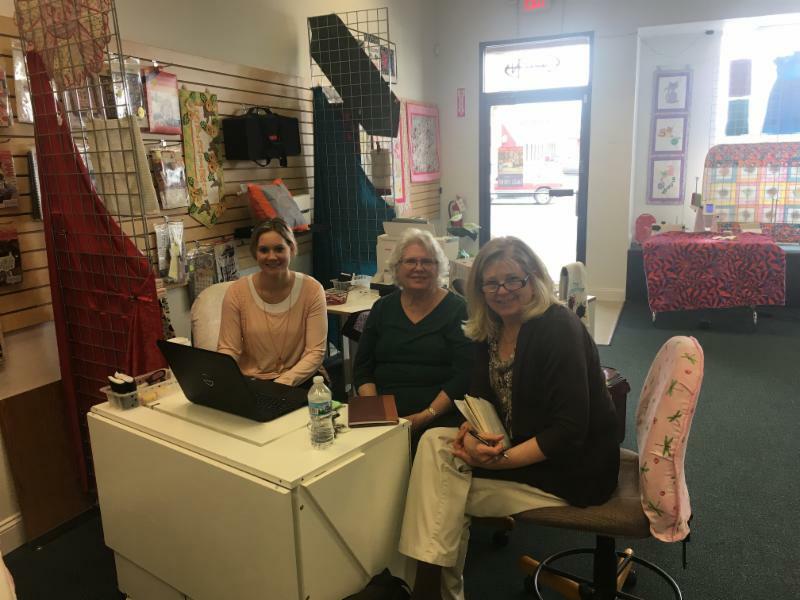 Join us for our first embroidery class in Amelia with Mary Lou! 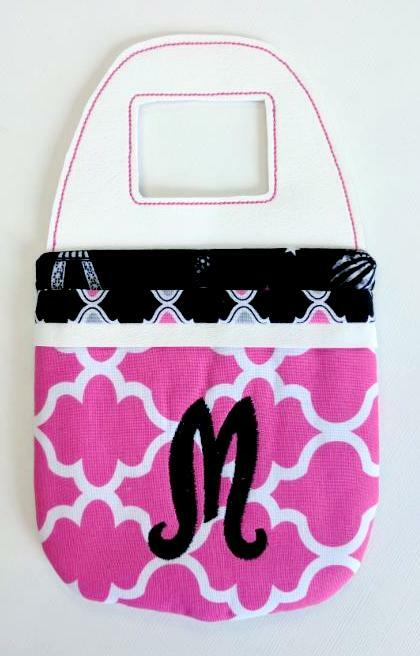 We’ll make this monogrammed charging bag in the hoop! What is the best way to hem a knit fabric? 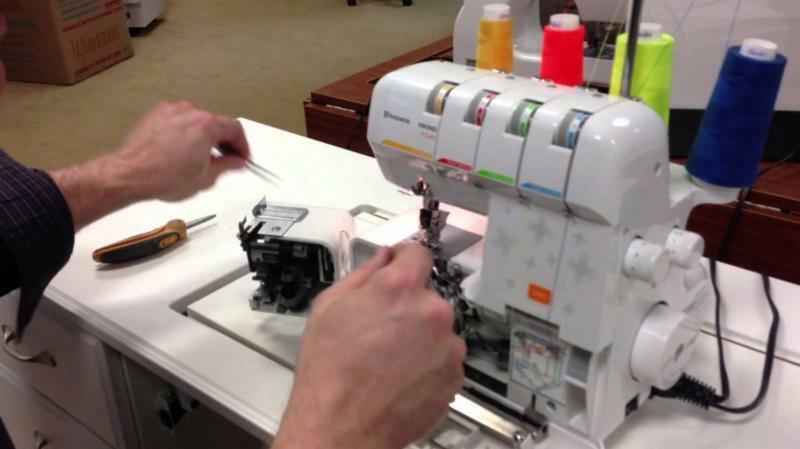 For a professional finish, the serger is the best machine to use for creating hems in knits and other fabrics. 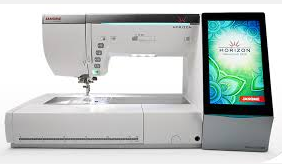 However, if you have only a regular sewing machine, hemming knit fabrics with a conventional sewing machine is definitely easier if a twin needle is used for this application. If you have a question please submit it to lukessewing@aol.com. If possible we will use it in one of our upcoming newsletters. Bring your machine and current projects to Luke’s! We have educators on hand to help out and answer questions. Have a cup of coffee, get some work done, and catch up with other Luke’s VIP’s! Back to the basics with AcuFill! We’ll start from the beginging and show you how to use the program- from start to finish! 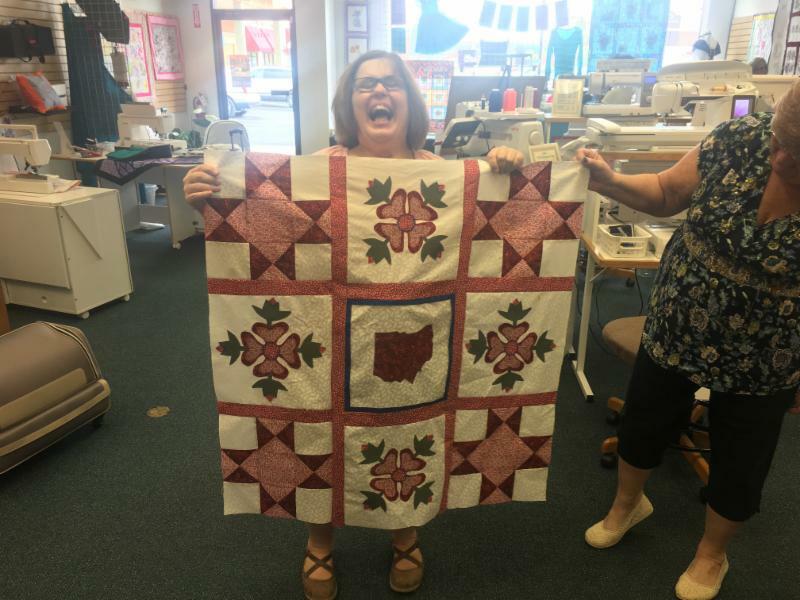 We are so thrilled to be learning some traditional quilting techniques from Laquitta! 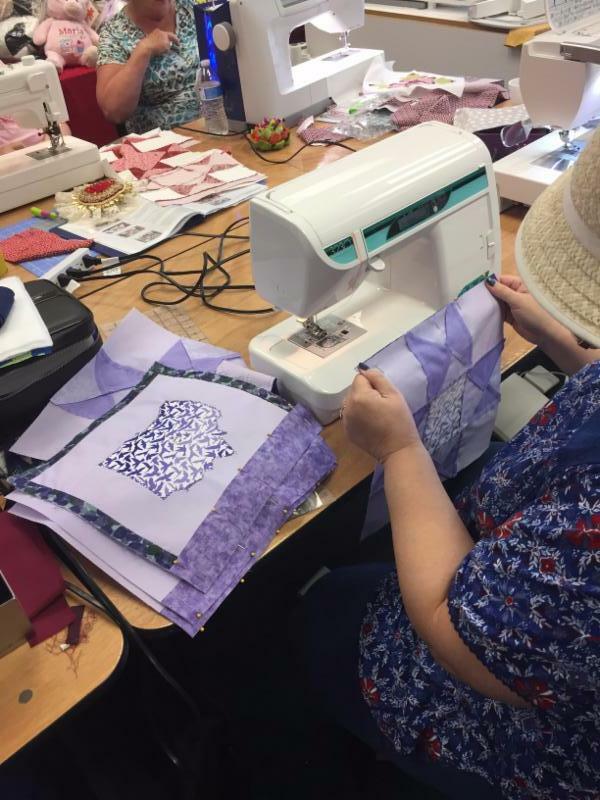 We had a packed house of 12 quilters for this class – and they all did such a good job. 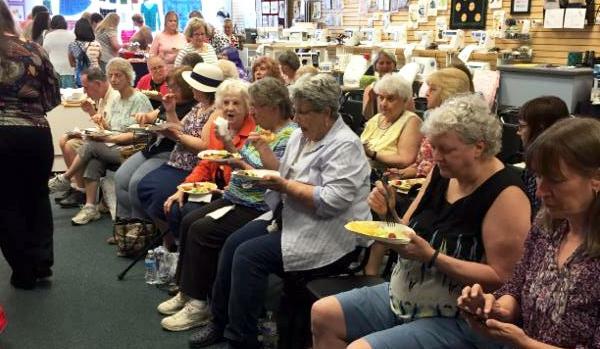 They took a quick break from sewing for a lunch of pasta, salad and breadsticks, and then got back to work on their blocks. Many thanks to Kathleen for assisting Laquitta. 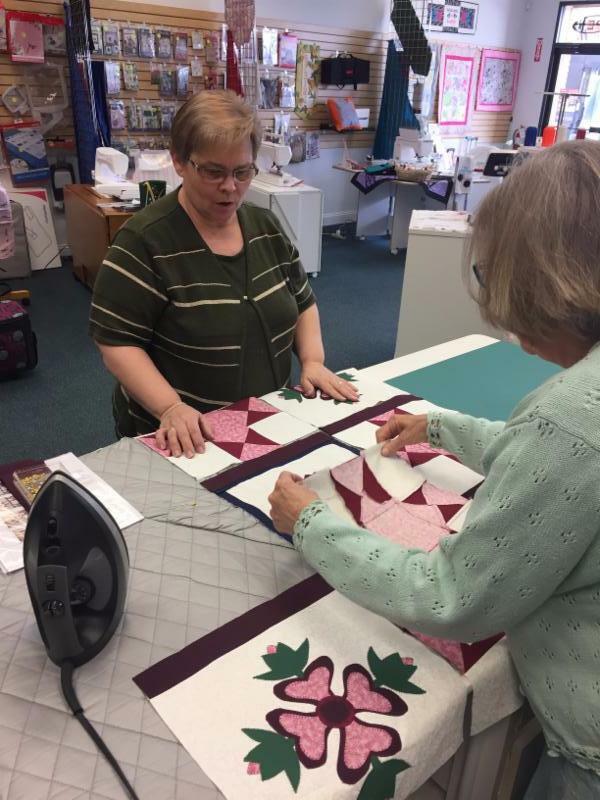 Join us in Tri County for this special TWO-DAY quilting class. 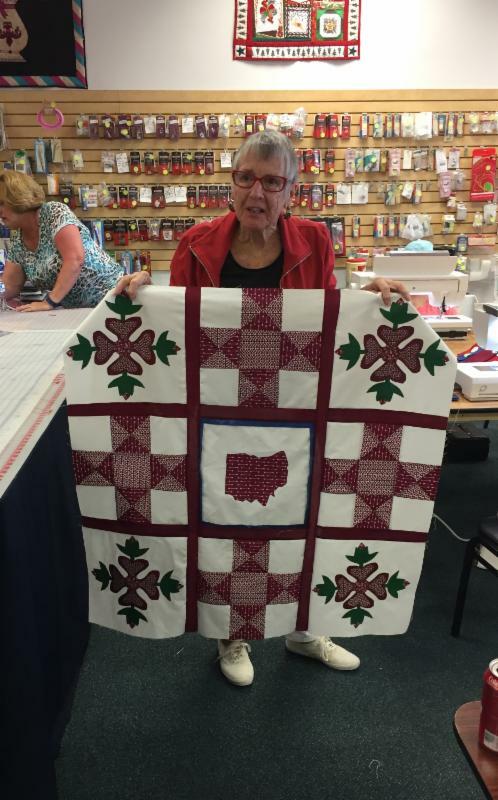 Laquitta will be teaching the “Ohio Star” and “Ohio Rose” lap quilt. 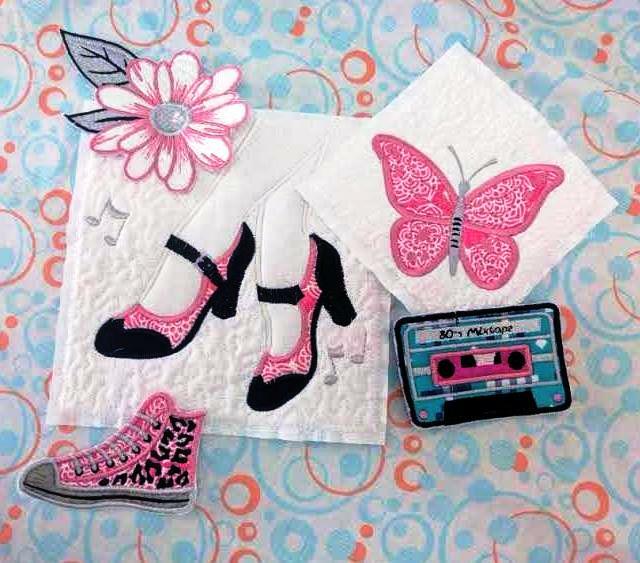 We’ll learn applique, piecing, free motion and many other quilting techniques. There will be some homework for this project (don’t worry! It’s not too hard!) 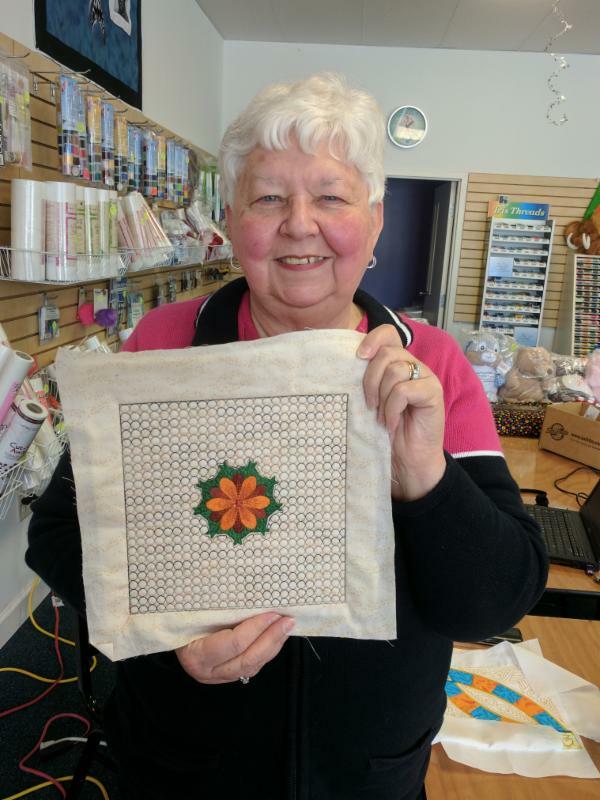 and we’ll have a special sit ‘n sew on May 6 with Laquitta if you’d like her help to finish the quilt! You don’t want to miss this special class! 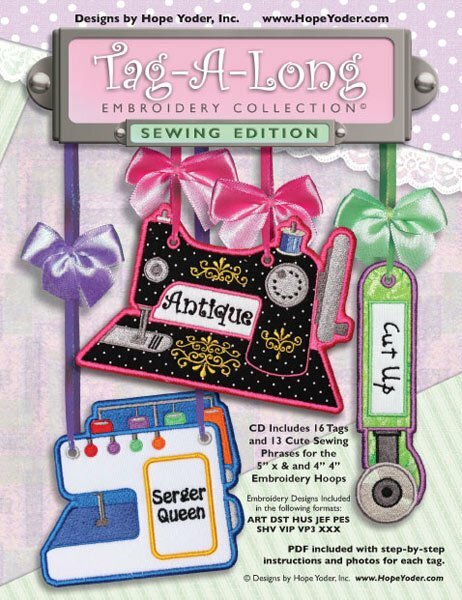 Add decorative detail to all types of sewing projects. The foot has 3 grooves on the top with a bar that holds them in place while stitching. Simply place the cord or cords under the bar and in the grooves and sew them down for a simple couching method. You can couch one cord or up to three cords at a time. 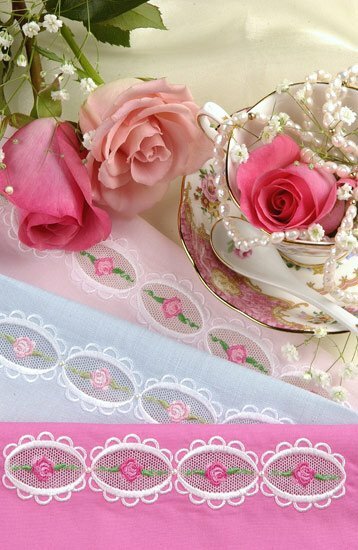 Use a variety of threads and stitches such as pearl cotton, fine knitting yarns or embroidery floss and stitch them down with the stitch of your choice. Design your own braids and/or trims. Select the number of cords you will be using and lay then under the black bar and into the grooves. Pull the cords under and behind the foot. Attach the Cording foot to the machine. 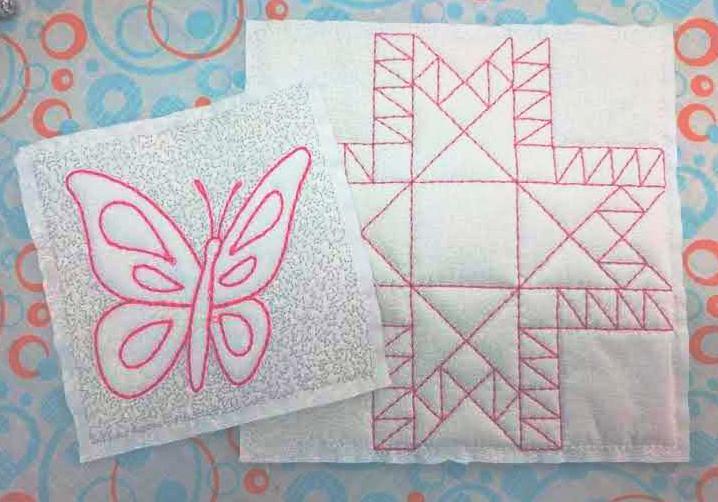 Select the zigzag or decorative stitch. 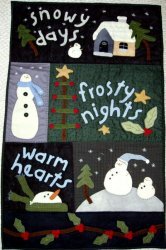 Set the stitch length and width as per the instructions for the stitch you are using. 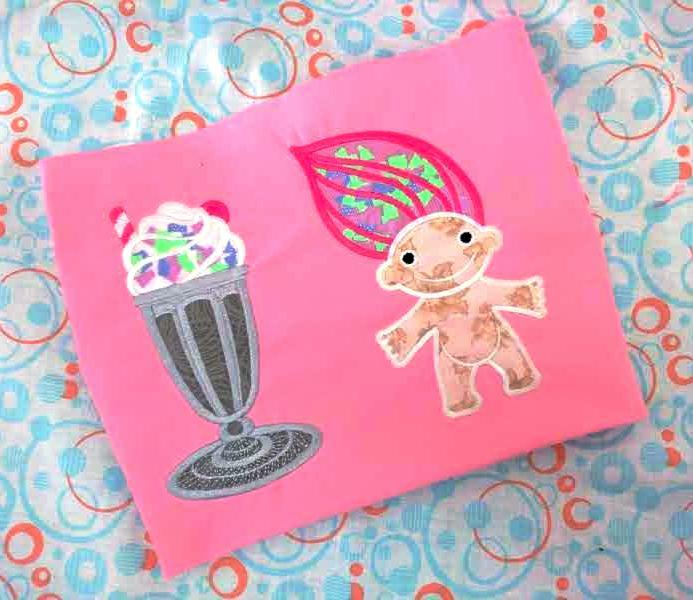 Use a chalk marker to draw the design placement on the right side of the fabric. 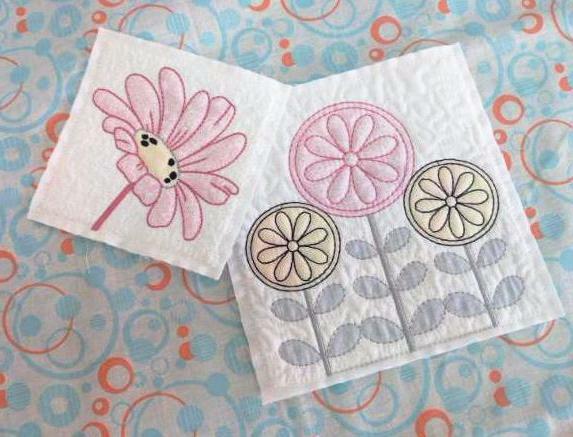 Lay a piece of Tearaway under the fabric and sew down the placement lines. 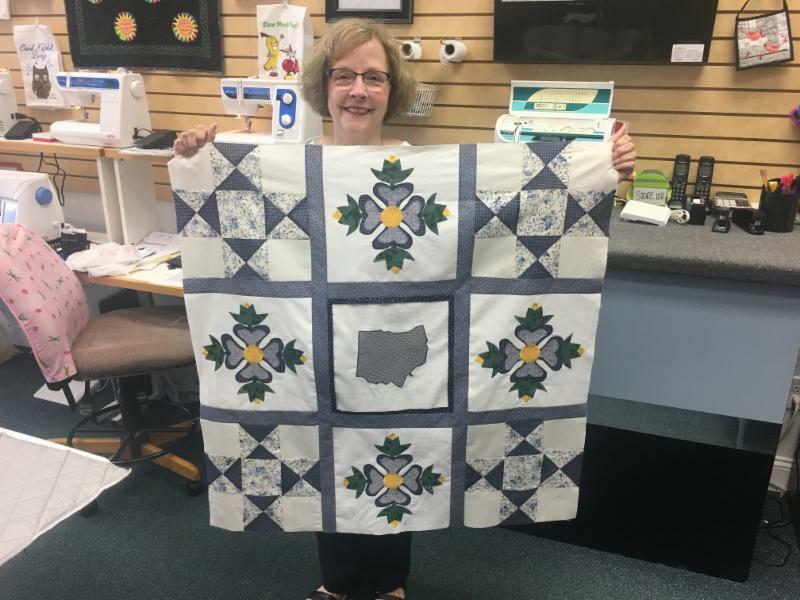 Kaye’s speciality in quilting is her unique “wool applique” This beautiful trunk show will feature her hand-dyed wool! 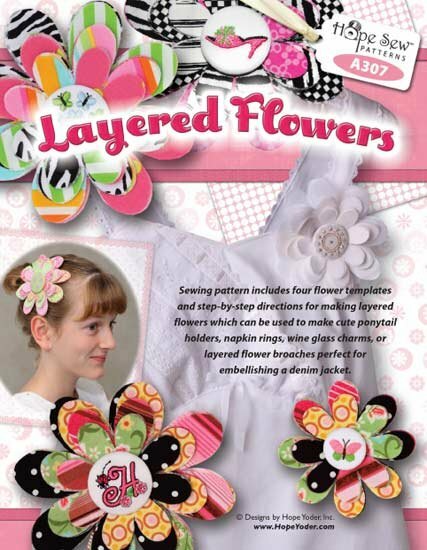 Kaye is also known for her silk appliques, french country touch, animal prints, log cabin designs and vintage styles! 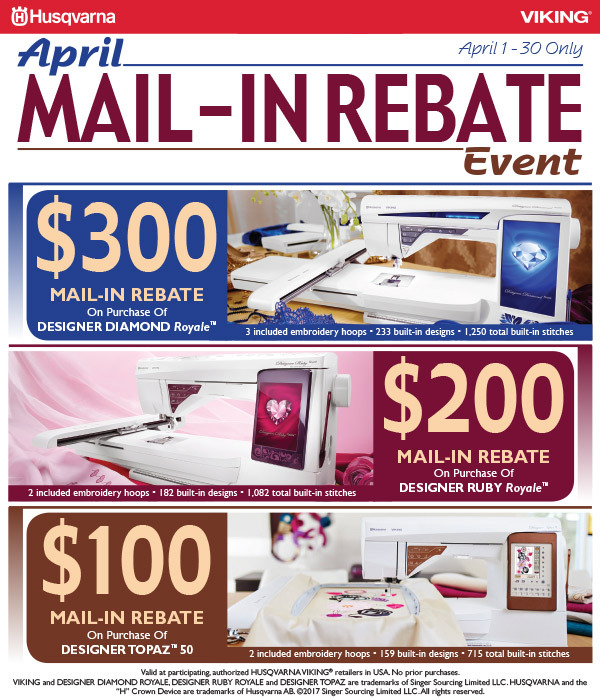 This isn’t a trunk show to miss! She will be presenting two nights for Luke’s VIP’s! Call Margaret to Save your spot! Call Gen to save your spot! 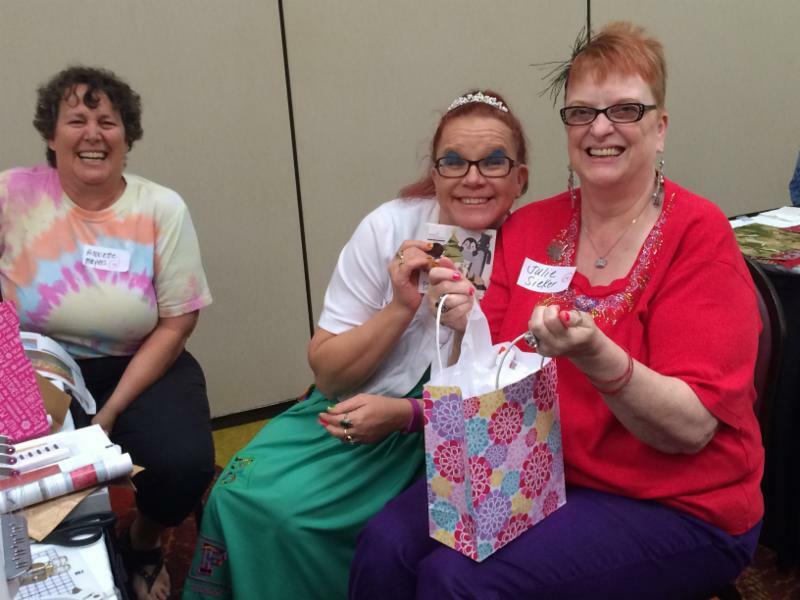 June VIP Clubs: Luke’s Presents Belinda’s Studio’s! Due to the stunning success of the recent software camp – and popular request – we’re doing a SECOND software camp! This August camp will be to take our software customers to the next level! 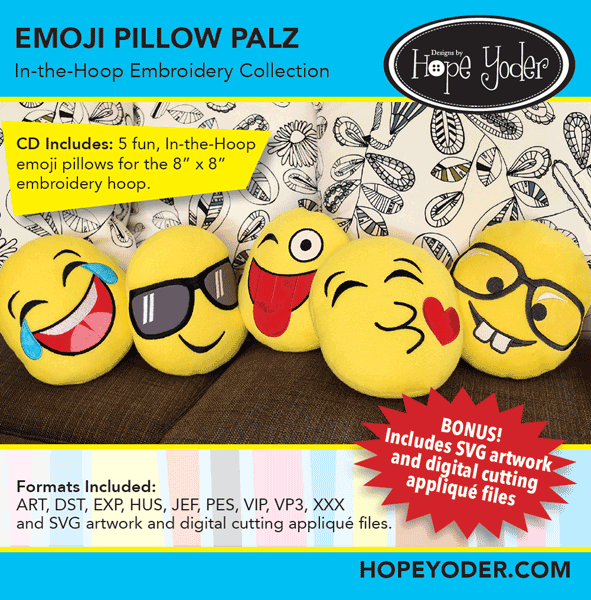 We’ll be doing lots of digitizing and in-the-hoop projects! Thread machine with neutral cotton thread top and bobbin. 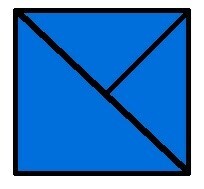 Cut the 7 ¼” Cobalt and 7 ¼” Lagoon in half on the diagonal. Cut the 6 7/8″ Cobalt, Lava, and Luna in half on the diagonal and then in half again on the diagonal. With right sides together, stitch one small Lava triangle to one small Luna triangle sewing them on the short side. Make 2 of these units. Stitch one small Cobalt triangle to another small Cobalt triangle, sewing them on the short side. Make 2 of these units. Lava/Luna units > lay large Lagoon fabric on this unit and sew in place. Make 2 of these units. Cobalt units > lay large Cobalt fabric on this unit and sew in place. Make 2 of these units. Sew the 2 Cobalt units together. Sew the Lava/Luna units together. Sew the top Cobalt unit to the bottom Lava/Luna unit to make the block. 1. 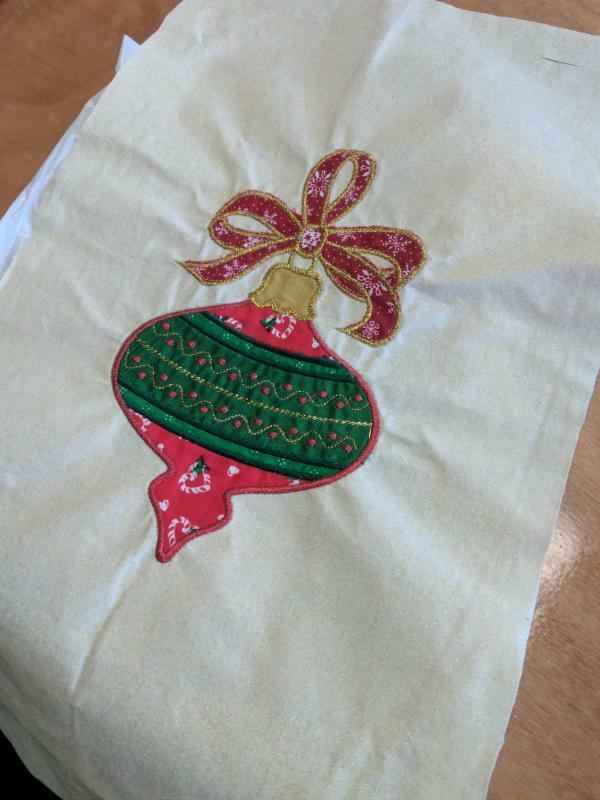 Apply the fusible web to the 6″ x 6″ Gold fabric following manufacturer’s instructions. 2. Using the Gold 6″ x 6″ fabric, cut a half circle approximately 5″ in diameter. 3. Apply this to the Cobalt section of the block. 4. 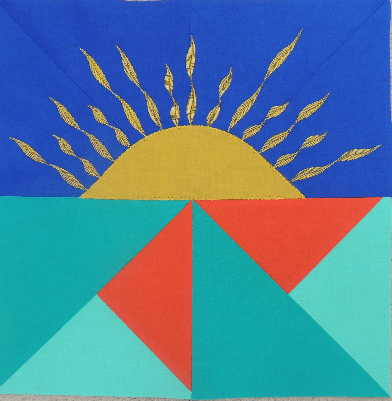 Select an Applique stitch and sew the “sun” in place. 1. 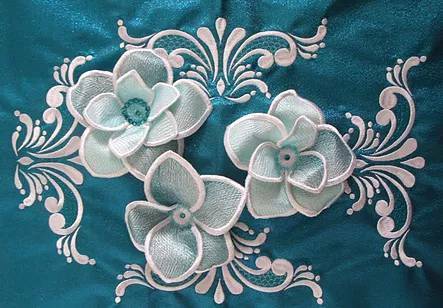 Decorative – Satin select stitch #5. 2. Place Tearaway behind block. 3. Set Elongation at 3 and sew 2 pattern stitches beginning on the left side of the block. When the second pattern begins stitching, touch Auto Lock so machine will stop when pattern is complete. 4. Set Elongation at 2 and sew 2 pattern stitches beside previous stitch. Touch Auto Lock when second pattern begins stitching. 5. Set Elongation at 3 and sew 2 pattern stitches beside previous stitch. 6. 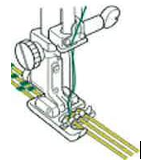 Continue stitching lines using this elongation sequence. 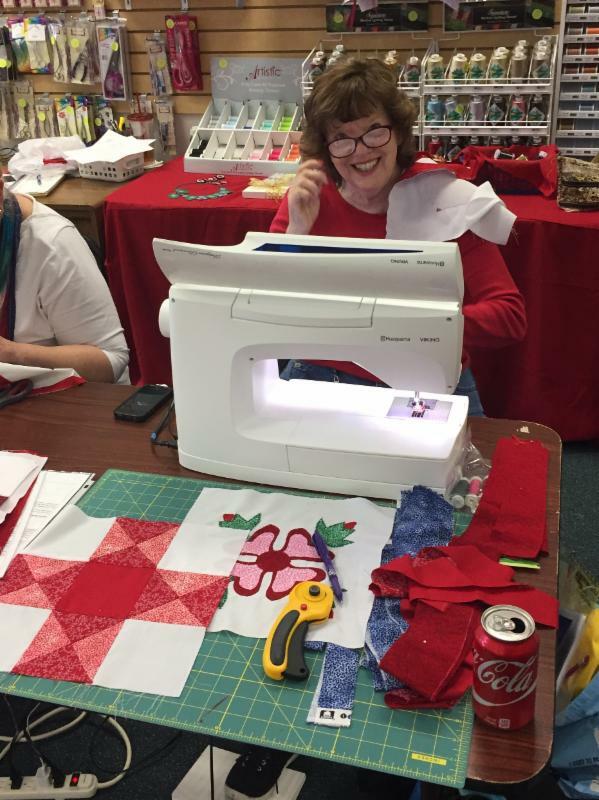 Join us the 3rd Saturday of every month to embark on a year long sewing project! 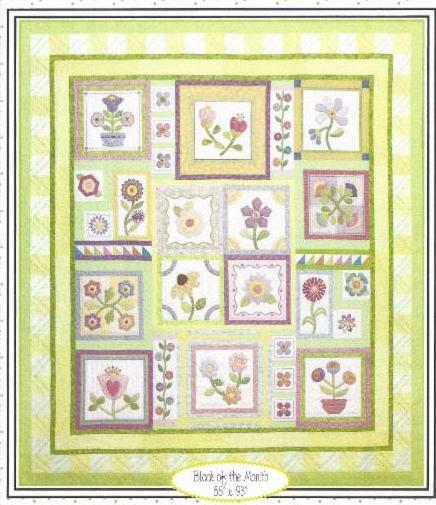 Debbie Chiarelli will walk us through this fantastic and fun quilt project by Stitcher’s Garden- one block at a time! Call Gen for more details! 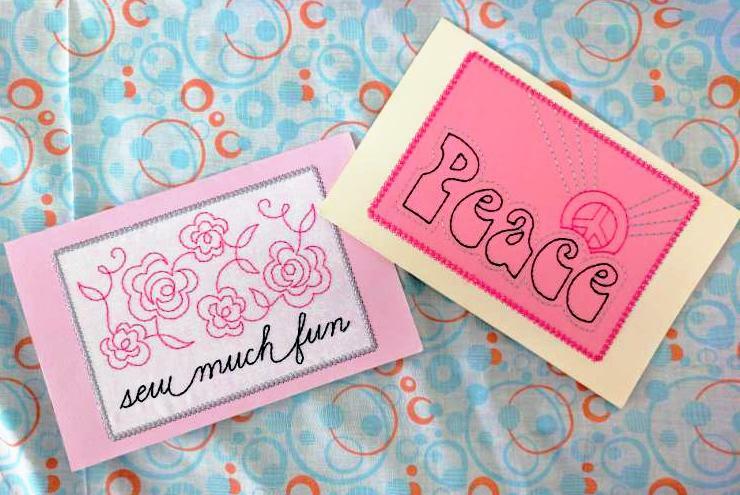 Join us the 1st Saturday of every month to embark on a year long sewing project! 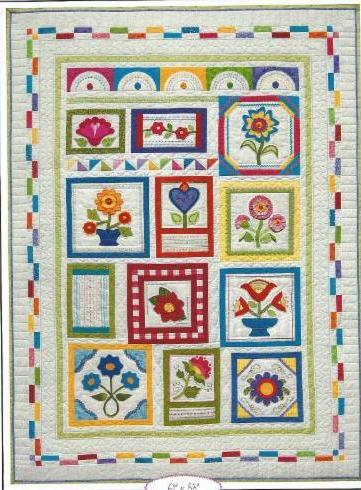 Debbie Chiarelli will walk us through this fantastic and fun quilt project by Stitcher’s Garden- one block at a time! Call Margaret for more details!